Corel today announced its second Carbonized application – Painter 7 – and revealed its software family is now collected under the umbrella brand-name, Procreate. Painter 7 is the latest incarnation of the company's natural-media illustration tool. It's a digital painting-application that simulates media such as watercolours, inks, oil paints, pencils and pastels. It offers texture controls, perspective grids and supports all standard export file-types. 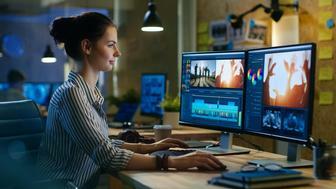 Procreate is a focal point of Corel's refocused approach to marketing its products. 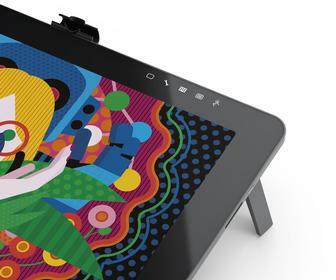 Greg Wood, PR manager for Corel UK, said: "We want to offer tools that will extend creativity. The collection is built on our own existing tools, plus those acquired from MetaCreations and Ultimat," he said. Painter 7 boasts a new watercolour technology, offering advanced controls for simulated watercolour painting. Included are tools for simulating brush wetness, paint dry-and evaporation-rate and paint flow direction. It's also possible to assign a pick-up rate for brushes. Ian LeGrow, executive vice president in charge of Procreate, said: "The new watercolour technology is so realistic, you can actually watch paints drip and blend together. We are releasing this outstanding new application to kick-start the new Procreate product line." A second Painter 7 Natural Media tool, Liquid Ink, mimics the viscosity and surface tension of thick ink. Applying strokes in close proximity makes them run together, like real ink. Painter 7 offers much-improved colour-management tools, now capable of transferring colour information to other applications. Colour sets can be created from an image, and an active layer or active selection made with a single command. The Colour Management engine has been improved, utilizing the same Kodak Colour Connection engine employed in the currently Windows-only CorelDraw 10. This feature has been well received by design professionals for its ease of use and accuracy. It is the first time that this engine has appeared in a Macintosh application. CorelDraw 10 for Mac is likely to ship in September. The new version offers improved compatibility with Photoshop, so users can move files between the applications. Files can be opened and saved in .PSD format while keeping layers intact. It also offers two options for saving .PSD files - RGB and CMYK. There are a variety of usability improvements. Layer support has been given an overhaul. Painter 7 permits Layers information to be saved in a document and transferred to other applications. The Materials palette is now customizable - so features can be turned on or off, saving screen space and improving workflow, suggests Corel. It's also possible to preview images in the Save dialogue box, including JPEG and GIF. The zoom facility is controllable through an on-screen slider, which means artists get better control over what they see on-screen. Text now sits on its own layer – previously, each word created its own layer, making it difficult to position or edit. All text options are accessible through a single drop-down palette. Painter 7 also permits users to copy, cut or paste text from another application, and export text layers into shapes for editing in applications such as Photoshop. When run on Mac OS X the applications makes use of the Aqua User Interface. The product ships in August in the US for $499, and will be available for both Mac and Windows. International pricing will be released "shortly". Registered users of Fractal Painter 4 or 5 and MetaCreations Painter 5.5 and 6 can upgrade to Painter 7 for $199. There is also a change in the packaging - Painter 7 ships in a box, rather than the paint can of Painter 6. For more information from the show floor, visit Macworld's Expo news page.